Mountain bikes at Peddlers are available in store and on-line, and are all on display in the large showroom. Available to buy today whether it be outright, Finance or a Cycle Scheme voucher we here to help when buying a good quality mountain bike that’s right for you. Mountain bike brands at Peddlers include Giant, Trek, Yeti, Lapierre, Intense, Mondraker, Transition, Charge, Evil and many more. Bikes are also available as frame only or custom built to your own bespoke Specification. 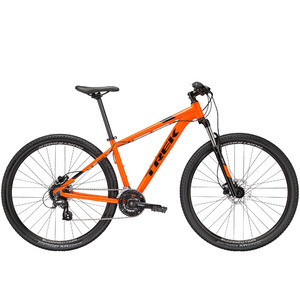 Trek also offer Project one custom colour paint on certain models of MTB, Peddlers eager staff can help you choose your own custom colours in store or you can follow the link and design your own bike at home. Every bike purchased in store will be fully built and safety checked and will receive a FREE service worth £40.00. Terms and conditions apply.